National Parks, wildlife sanctuaries and varied topography are anther facets of Rajasthan among splendid forts, grand palaces, superb heritage hotels and the sand dune of the desert. 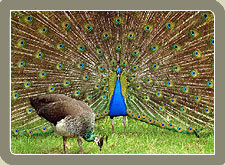 Rajasthan is a haven for a wide spectrum of wildlife. The diverse topography of Rajasthan offers an impressive array of wildlife. Each national parks and sanctuaries houses a large variety of animal and bird life. Some of them are rare while some endangered. Join Grand Tours India and experience thrill & excitement of wildlife and visit some of important national parks & wildlife sanctuaries. Grand Tours India provides a perfect tour detail about the national parks and wildlife sanctuaries located in the state of Rajasthan, North India as a part of National Parks in Rajasthan package. Information in brief about some of important national parks and sanctuaries is given below. Previously the hunting ground of the Kota maharajas, this sanctuary was established in 1955 and covers an area of 266 sq km. This hilly sanctuary with its thick forests is worth a visit. The animals here include wolf, sloth bear, chinkara and leopard. The best time to visit is between February and May. Established in 1980, it is colossal park sprawling on 3162 sq km. It has shrubs and trees in addition to rolling sand dunes. The wildlife wealth here comprises fox, desert cat, hare, spiney tail uromastix and sand fish. Thousands of sparrows, imperial sand grouse, bustards, falcons and eagles migrate here during the winter. Best time to visit is September to March. Established in 1957,this sanctuary is located beside the man-made lake of the same name. Covering a total area of 160 sq km, it harbours sloth bear, leopard, chital, chinkara, wild boar and a number of birds. Some crocodiles and fish can also be spotted here. Best time to visit is between November and January. Declared a National Park in 1983, this 29 sq km park is one of the world’s greatest heronries. Its shallow, fresh water marsh attracts thousands of migratory birds. Over 10,000 nests of egrets, darters, cormorants, grey herons and storks hatch nearly 20,000 to 30,000 chicks every year. There is an infinite variety of migratory birds. Mammals like the sambhar, blackbuck, chital, nilgai, fishing cat, otter and mongoose also roam freely here. Best time to visit is August to February. The majestic fort of Kumbhalgarh overlooks the 578 sq km sanctuary. The Aravallis hills, which remain barren for most of the year, turn green rains and provide shelter to sloth bear, leopard, and flying squirrel. It is also the only sanctuary where the Indian wolf is breeding successfully. Best time to visit is March to May and September to November. The highest point of Aravallis, the Guru Shikhar, lies in this 289 sq km sanctuary. Established in 1960, this provides shelter to the common langaur, wild boar, sambhar and leopard.. The grey jungle fowl can also be spotted here. Besides, a number of flowering threes enhance the beauty of this place. 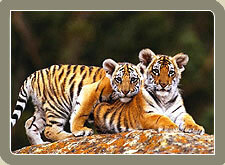 This is the state’s most well-known tiger reserve under Project Tiger. Home of an ecpansive variety of other animals in is 392 sq km area, one can spot sambhar, cheetal, wild boar, leopard, sloth bear, jackal, hyena among others. Artificial lakes, dense forests and the shield of the Aravallis have helped to make this park very impressive and interesting. Best time to visit is October to April. The other tiger land in Rajasthan which was brought under Project Tiger in 1979. Other than leopard, sambhar, nilgai, wild dog, and chinkara, the ruins of 9th and 10th century temples exist here. Best time to visit is November to June. Other sanctuaries include Sitamata, Darrah, Chambal, Tal Chapper, Jamwa Ramgarh, Kaila Devi, Van Vihar, Ramgarh, Shergarh, Todgarh-Rad and Jawahar Sagar.